Description: High on luxury, the Skyline Collection is the ultimate in suave sophistication, abundant comfort, and classy metropolitan design. The sofa\'s chic and high profile design is accentuated further with its winged, button-tufted back while the occasional tables are statement pieces worthy of any eccentric modern loft or elegant contemporary home, artfully combining a laser-cut stainless steel base and open-pore oak top. 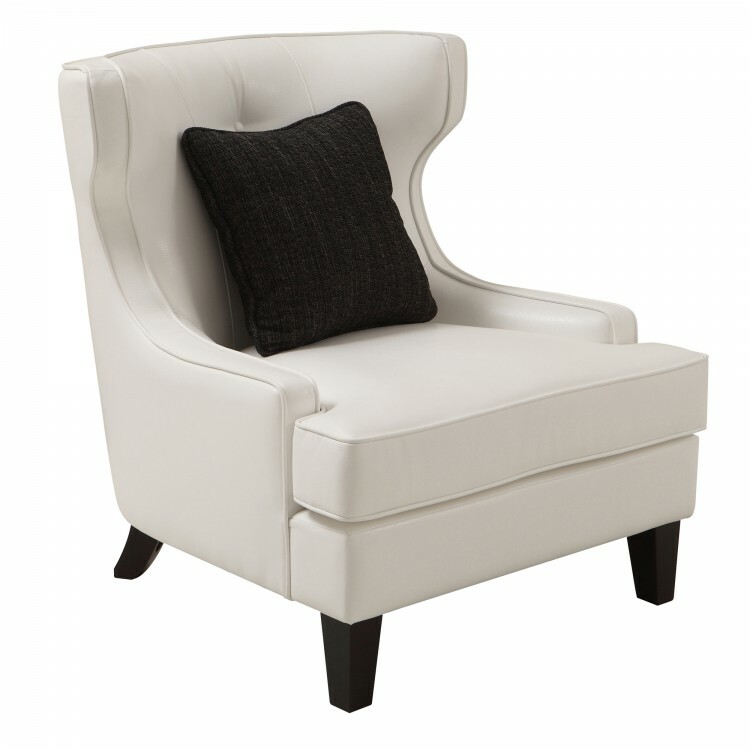 Made with Bonded Leather.